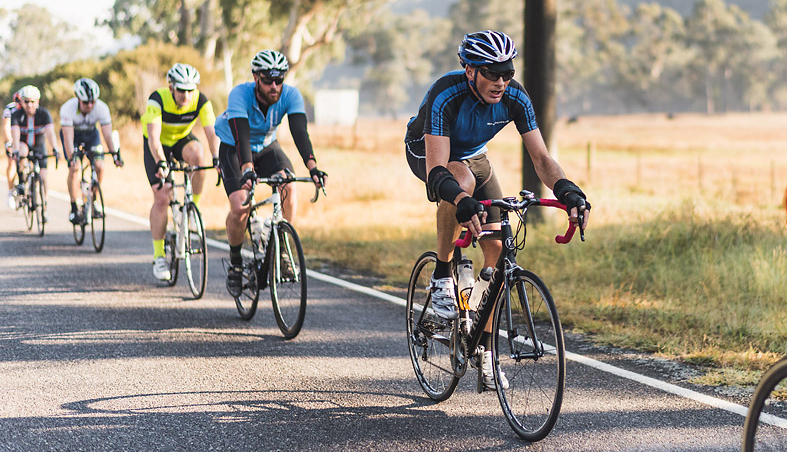 Some essential training tips to help you gear up for riding longer distances on the bike. Most of us face the usual time-poor complaints through the week, so making the most of short rides is a must. If you’re fortunate enough to be able to commute by bike, build training into your transport. If not, try and get two rides completed on weekdays where you ride faster than what is normal pace, or what feels comfortable. Factor in some rolling hills and push hard uphill to build your strength. 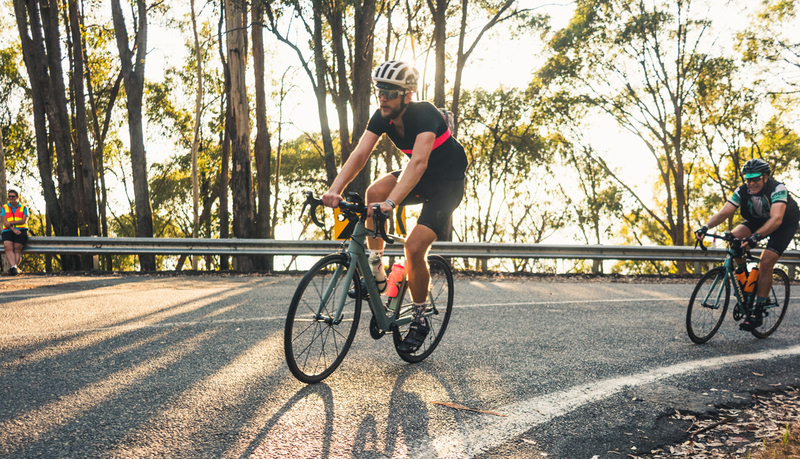 The aim here is about getting in a higher intensity workout in your limited training time—going hard for an hour or so is surprisingly effective in building strength for longer rides. The weekends are for going long. If you are new to longer distances start with a quarter of the nominated distance to test your ability. There’s no need to ride as hard as you do through the weekday rides; just focus on your pacing, build your endurance and practice your bike handling or bunch riding skills. Over each week, try and add an extra 5km. It’s a gradual yet effective approach; in no time you will be riding half your target goal. Once you get to half your target, try changing up the terrain a little. Challenge yourself with some climbs or small sections of sprinting to get your body stronger and put it under a bit of strain. Always keep looking for ways to challenge the body instead of the same predictable workout every week. Mixing things up will help motivate you, and prevent the training from becoming dull or routine. Getting a friend on board to train with you can also help, as you will have someone to be accountable to, and you’ll be able to motivate each other. It’s also important to remember to take it easy from time to time. There’s a lot to keep a handle on, amongst work and family commitments, stretching, nutrition and hydration. But remember sleep is all part of the needed basic recovery and essential to progress.